The topic of hygiene covers a lot of ground. I wanted to talk about this subject today because I often struggle to keep myself as clean as I like to be while many people tell me I am even cleaner than they are. I know of many cases of people who go for a long time without showering or brushing their teeth and the sad thing is that they pay for this luxury in friendships, job opportunities, and general social interactions. Not too long ago, I was having medication problems and I was experiencing severe paranoia. I believed that people around me thought I stank and that it was so bad they wouldn’t sit near me and they would make jokes and comments. This is yet another aspect of the same issue that plagues people with mental health issues. I can recall being younger and if I was lucky I would take a bath about once a week. Add to the fact that my clothes didn’t get washed often and you have a real problem. In a way, I was afraid of water and taking my clothes off. It may have had to do with the fact that I live in Edmonton where it regularly dips below minus 40 in the winter, but I think there was an actual fear of exposing myself. I had always loved swimming though. Now, thanks to a benevolent government in our city, I am able to get a pass that allows me full access to city swimming pools and gymnasiums. If I am able to swim that is a day I can go without having to shower as they provide hair and body soap for showering before and after a swim. And then, there are times when a shower really does help me get through certain things, like when I am waiting for a long time to do something like meet a friend or get to an appointment. One of the best things about showering I think is that it can be replenishing, refreshing, and even change how you look at the world. Often, when I write a short story, I will go and have a shower so that I can come back and look at the piece from a different point of view after not thinking about it for a while. The benefits of swimming are numerous. If you have ever had a sports injury, swimming is often the best way to exercise with a very low impact on things like joints and knees and ankles and such. It also burns a lot of calories because it exercises many muscles you don’t normally bother with in some workouts like walking or cycling. One of the things I do to motivate myself to continue my hygiene habits is to try and make them as simple and as enjoyable as possible. I don’t spend too much time in the shower and I no longer take the time to have a bath and have to fill and drain and clean the tub. I jump in the shower, scrub and shampoo and jump out. Then I shave, put on deodorant and quickly brush and floss and use mouthwash and brush my hair. Once you get used to it, it can take under 20 minutes. What I like about it is that I am much more able to feel comfortable around others when I am clean. Of course, that isn’t the answer for everyone. I had heard of a young man who was diagnosed with Schizophrenia. For some time he didn’t shave and grew a long beard, as well as had a hard time showering. His caregivers were told that the important thing to do was to take all pressure off of him, and eventually he went back to taking better care of himself. There is another factor that the “one in five” who have a mental illness of one type or another often need to take medications which causes dry mouth. Fifteen years ago I had no cavities. I was put on medication that caused dry mouth and now I have no more molars. I have just two good chewing teeth (pre-molars) left to eat with and am putting off getting dentures for as long as I possibly can. Of course there is also the factor that regardless of the mental illness you are diagnosed with, you can experience depression. I can’t offer any advice for this, and I don’t suggest that even people with lived experience give any advice because I am not (and they are not) psychiatrists. It is so important to be totally honest with your psychiatrist, and if they aren’t helping you, you need to discuss this with another person in the field who can tell you if you might be better off with a Doctor who listens more and is more compassionate. This depression can make you simply not care if your teeth or clothes or body are clean. In this case, forcing yourself to shower and all that may not be the priority, getting your sadness dealt with should be. Self improvement, which I feel is a cornerstone of recovery from a mental illness, and also something that everyone can benefit from, can take years of work. I can remember in my younger days, for want of a better term, my feet smelled really bad. I dreaded the prospect of being invited into a nice house where you had to remove your shoes and often didn’t in my parent’s home. Years later I learned that you can put anti fungal cream on your feet which is also known as athlete’s foot (and also works well on jock itch) and the smell will completely go away (at least until you walk around in a locker room in bare feet anyway). This changed my whole life, and is a perfect example of how much a person can suffer if they are not open and honest, and fully disclose any issues they have to a Doctor. Well my friends, that is all I have for now. I wish everyone a Happy Easter and the summer of your lives. For those of you who are approaching middle age, I just want to tell you that life only gets better as time passes. Ciao! 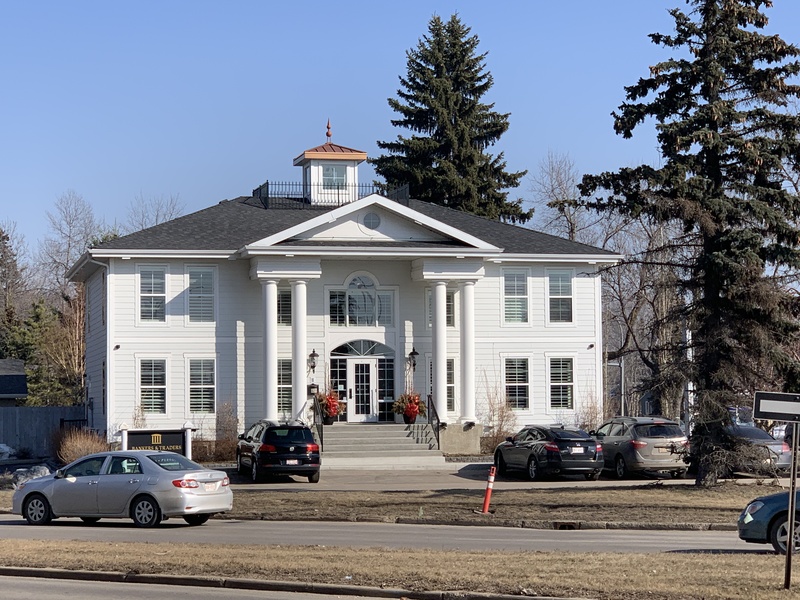 Almost hard to believe this is a single family home, one of the more famous mansions in Edmonton. I often wonder what type of people live in a place like this, and if they are happy. An interesting thing in life is that, at least in my experience, no matter what you may own or what you may have it has little to do with happiness. I am in the fortunate position to have the computer I need to do my writing and a large screen TV to play some of my many video games on. I can focus on what I have, and strive to do better and have more, but the fact is that happiness is almost a chemical reality, something that can be determined by things such as your chemical makeup (brain especially) and even your outlook on life. I am fond of discussing how when I was younger I had no idea what a bagel was. I worked at a donut shop and would serve many people bagels of all kinds. Finally I broke down (and I now love bagels but can’t eat them because of diabetes) and ate a bagel and I recall thinking “This is the worst tasting donut I have ever eaten!” Seems funny now, but it betrays an interesting truth: our expectations and former experiences guide us to appreciate things or react in any of the numerous ways a person can. Me, having been to London and seeing places like Buckingham Palace and the private library of an 18th century King, this mansion looks a bit dinky to me. But if I were to own it I might react in many ways, I might think it was too much space, too wasteful of resources. Or I could be extremely happy that I have a place for my books and a room for friends and a garden I can sit in during the summer. I can actually speak from some experience because I once lived at a friend’s house that was huge. It had 5 bedrooms, two living rooms, two kitchens. My roommate and I each had space for our own office and there was a garage at the back and front of the house. The reality though was that I was miserable. There is so much more to a home and so much more to happiness than square feet. I could cite some reasons why I was miserable in this incredible place, one of them was that it was far away from where I liked to be. There were no nightclubs for people my age, I couldn’t find a good used bookstore nearby or arcade. There was no library. And then there were the factors that really make a home a home, I felt like I was in a massive tomb walking around like a ghost. As mentioned I had a roommate, but he spent so much time watching hockey or playing hockey video games I had no connection to him. He was an incredibly nice guy but I desperately wanted someone to talk to and do things with. I ended up desperately seeking girlfriends and going to dive bars and ended up not only drinking but gambling as well, two things that I absolutely should never do with the mental condition I have. The story does work out. I moved into an apartment on my own and was able to hold onto a pretty good job for a couple of years. I reconnected with some old friends. I also got put on a drug many people know about, Prozac, which was extremely effective for me. And on top of that I bought a car that was older but in perfect shape for just $75.00. Things could have been better, and I admit, I did eventually get complacent and slipped back into psychosis, but at the time I compared my life to some of the harsher times when there were many people taking advantage of me and when I didn’t have a job or many friends. Having friends is another thing that seems to be so essential. I think now, and for the past couple of years (not counting some time when I had a bad reaction to some medication) I have been having the best time of my life because I have some genuine friends, one who is an incredible young woman who speaks four languages, has a black belt in Tae Kwon Do, as well as a master’s degree and a fantastic job. The other is a guy who is a best selling writer and he is such a great guy he seems to only have interest in helping me move my career as a writer forward. I wish I knew how such amazing opportunities came to me, many of them were random, one in a million chances. If I were still a smoker I don’t think my writer friend would be able to get along that well with me. If I wasn’t a writer who loves philosophy I don’t think the woman with the black belt would have found enough merit in me to let me into her already busy life. Perhaps it came down to what a dear friend at the group home I used to live in told me, when I explained the hours I worked and what I was doing to improve as a writer, as well as doing actual writing, he said, “God will reward you for your hard work.” and it really seems to have come true. Just as a quick final note, I think on top of friends and a community you feel like you are a part of, for those of us who have mental health issues, it could perhaps be even more important that we maintain diligence with regards to self care and mental health. That means eating right, sleeping enough at the right times, taking medications on time, and of course, being honest with your Doctor. Please reach out or comment if you wanted to say hello or comment. 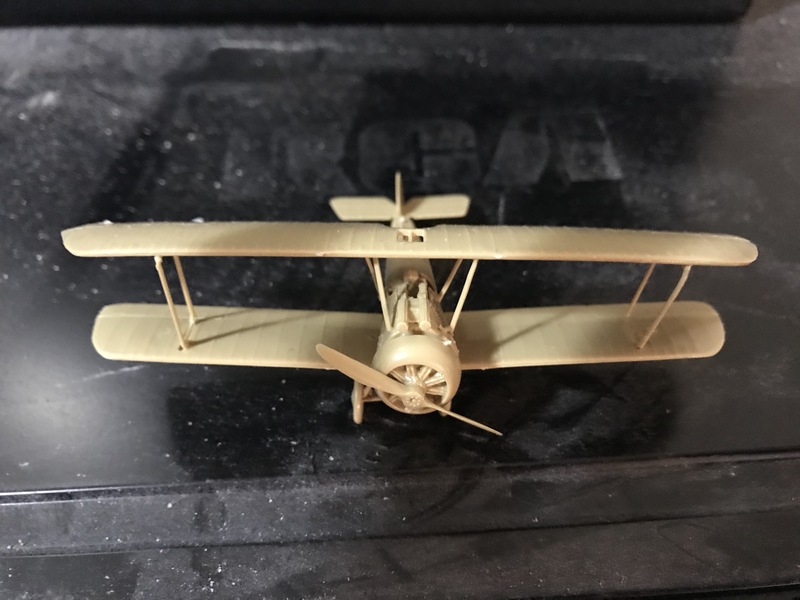 The above photo of a Sopwith Camel as it sits on a dusty shelf in my apartment is something that took me years to make. When I was a Boy Scout, I had little interest in socializing or ‘doing my best’ in everything. I didn’t believe in what I was being taught and so that year of my young life was mostly wasted. One thing I did do was make models. It was a lot of fun, often my Dad would help or even make his own model alongside me. I ended up leaving Boy Scouts with just a couple of mementos, one being a book about the Royal Navy and Admiral Nelson, and the other a merit badge for model making. Anyone into popular culture I hope still reads the odd new comic book because there are some amazing titles out there. One of them is called “Black Badge” and tells the story of a scout troop that has earned every possible merit badge and then has to work on a secret one called “The Black Badge” of course. It is hilarious, dark, and simply brilliant. Each of these kids has a different type of ‘nerdish’ personality and they go on missions to far off Countries, call in airstrikes with drones, sneak into places, all under the cover of being an innocent scout troop out seeing the world. If such a comic existed when I was young I think I would have earned a lot more badges, but the year after I left Scouts I joined Air Cadets where we actually did shoot rifles, fly planes, teach classes in different things like Air Crew Survival, Citizenship and many other topics. I was in my second year of cadets when I went into the psychiatric ward for the first time and when I left, I had given up on life almost completely. In the midst of my depressions though, I always had something to hold onto. It was either a car or a motorbike or the possibility of talking to a young woman I worked with at a grocery store. Those hobbies kept me going, kept me sane. In some of the worst years of my life, what kept me going was a love of reading and a dream of one day being a writer. Then, more than 35 years after retiring my almost empty Scout sash, I found this inexpensive model and for hours despite shaky hands and broken parts of the plane, put something together that I could feel pride in doing. I don’t think I will make many models. I was once so absorbed in toy soldiers I was painting them from the Napoleonic War and went so far as to use a single strand of a special paint brush to put a moustache on a soldier that no one could notice on a soldier not taller than an inch. Take care friends, look for more soon! 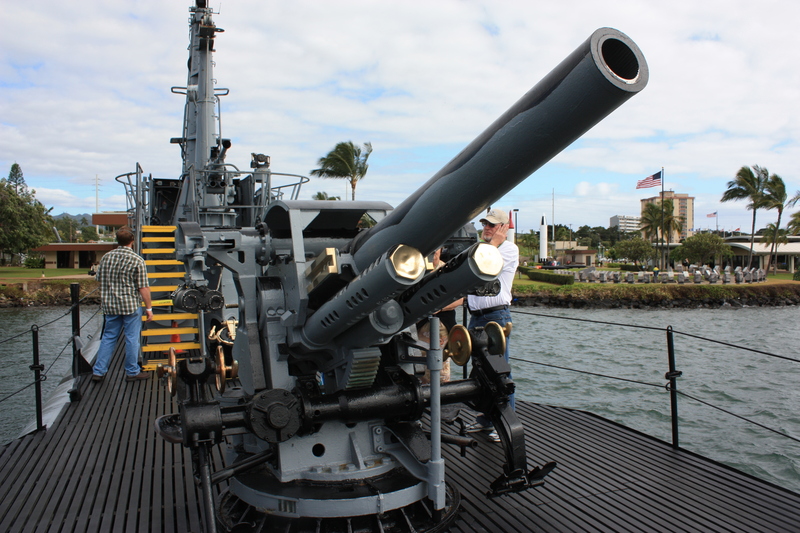 This is a photo taken by me from the deck of a World War II American Diesel Submarine in Pearl Harbour, Hawaii. 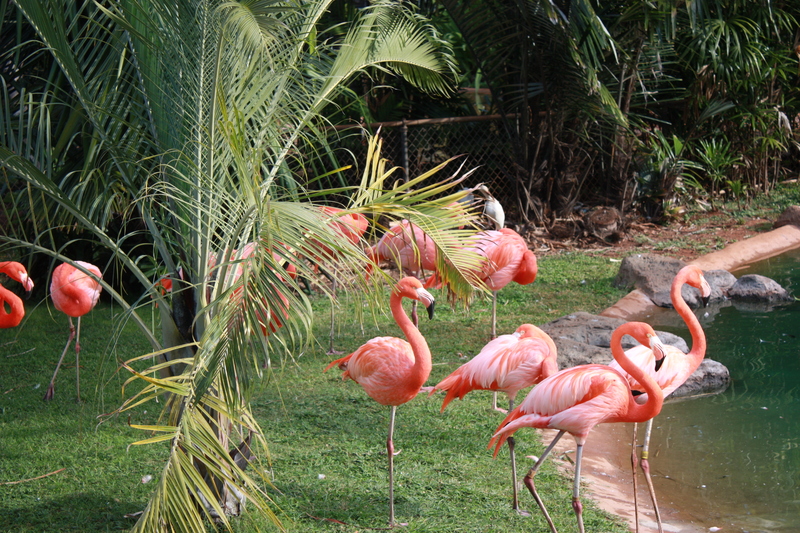 I don’t know if anything in my life made me happier than to travel to a tropical destination and witness history. I had wanted to go to Hawaii since I was a young boy in school and one of my closer friends would go there every Christmas vacation and come back brown as a chestnut. I accomplished this goal because I decided I was going to make it happen. It had little to do with the fact that I had no money, little to do with the fact that I needed medications and travel insurance and flights and hotels. I just worked as hard as I could, first to get better, then to advance up the pay scale in a regular job to make it real. What are your goals? Do you dream of having children? Aside from a criminal record, why not volunteer for a summer camp job? Why not take some training and work in a day care. Anything a person can do without a mental illness can be done with one, but it takes steps, planning and goals. Your first step may simply be to find the right medication. The next step is to get used to taking it and take it as directed, day after day, month after month. It can take years. Many have traumas that take a lot of time, but if you want to do something, keep reminding yourself of it. Put a photo of your dream destination on the wall, or your dream car. After the step of getting proper medical attention for your illness, your best bet is to get therapy. Group therapy can be great, but I strongly recommend cognitive behavioural therapy, the process of going through steps to make new connections in your mind. It has been shown to be so effective that it actually works better all on its own than medication all on its own. But that doesn’t mean you can stop your medication, you still need it, but together with effort and work, you can get pretty close to fully functional. Do you want to be a writer? You have all that time on your hands most likely. Instead of eating too much, get up, get some exercise to make you feel better all day (walking is the best I feel) and then sit down to read. Most successful authors have read thousands of books, now is your chance. Even start watching a lot of movies. When you are ready, do what I used to do… write a book review, even if you never show it to anyone, keep a separate notebook for writing full page book reviews, and keep another for movies. Get the most out of your experiences. Balance out your life though, make time for walking, biking, swimming, time with friends. If you have a hard time concentrating on reading, work on a few books at a time. Two pages a day can add up to a lot of books in a few years. As you get better, you may one day find you want to work. Try volunteering. It will greatly enrich your life and your resume. When you volunteer, you can almost get your pick of jobs. You may never be a pilot with a mental illness, but you can work a desk at a flight school and go flying with other licensed pilots all the time. There is so much world out there. But don’t worry if all you can do is just take your medications for now. That is all you need to do, that and maybe some exercise and some healthy food. Look into supported employment. In Canada, the Schizophrenia Society hires many people with a history of mental illness for essential jobs like being a peer support worker or taking a recovery course and then teaching the course after. You can go and give talks at schools and feel the incredible joy of helping to bring mental illness out of the shadows. Things like this will give your life meaning and hope, and perhaps even a little grocery money. I got some advice once from a man who had once been in a terrible state from bipolar disorder and its symptoms. He said he made a group of friends (five I think) and would talk to each and spend time with each without overloading any with the things he was dealing with, and soon he became stronger and his life became more normal. I should note though, be vigilant. Even after five years or ten years if you stop or change your medications, you can end up in trouble again. Don’t neglect to see your psychiatrist or let yourself believe the lie many people may tell you that you don’t need medications. I knew a very intelligent man who was on medications and doing well who was told that and went off his medications and to be honest, I have severe doubts he is even alive anymore. Listen to the people trained to care for you and those who love and care for you (family). Small steps. Plans. Goals. Dreams. Paradise. “Through the Withering Storm” is a work of non-fiction directly based on the lived experience of Leif Gregersen, the author. This is a story of both desperation and hope. In the start, we learn about the author and how his illness began and built up over years. Often, he would go to Air Cadet camp and return so exhausted that he would hallucinate someone shouting his name until he was able to rest. As his illness progresses, the book chronicles Leif experiencing severe depressions, social anxiety, obsessions of various types and a psychiatric ward admission at the age of fourteen. Leif pushed down his feelings of unworthiness and depression, despite knowing that mental illness and addictions run in his family. He blames his problems on the fights he has with his alcoholic father. 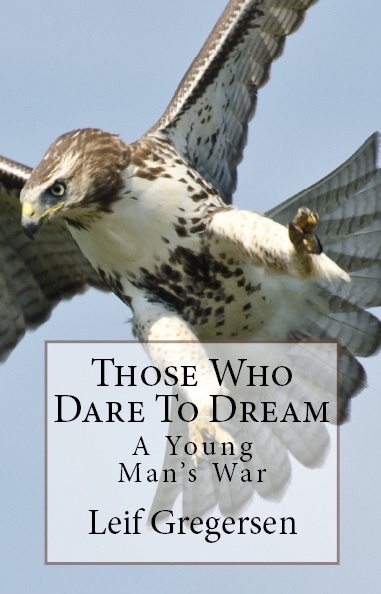 As years pass, despite IQ testing that placed him in the gifted category, he does more and more poorly until in grade ten he decides he must quit Air Cadets in order to be true to his life goals of an academic career, which become all but impossible later in life with the onset of his illness. Leif makes his way through high school, trying to avoid obsessing on alcohol, trying to support his needs and habits as he switches from one group of friends to another. Leif’s whole life is caught up in his school work, time spent with his sister and her abusive boyfriend, and his drinking bouts. At this point in his life, his only joy seems to come from the time he treks into the woods hunting rabbits. The end of grade twelve comes, and though Leif has earned enough money for a sports car and a motorcycle, his life seems empty. Instead of travelling as he had longed to do when school was over, he spends the summer after grade 12 working in a gas station for minimum wage. A short trip to Fort MacMurray which corresponded with a three-day drinking binge only caused more feelings of depression and isolation as he once again tried to self- medicate his mental illness. One day Leif realizes that he has very few goals and less direction and makes the decision to return to school in hopes of being accepted to University. Soon after returning, he develops a crush on a young woman that he is unable to act on because of social anxiety. Over the next few months, Leif works a night job and attends school during the day while constantly being under the threat of being kicked out of his parents’ before he can even finish school. Slowly, he literally becomes insane. One night, he walks off from his well-paid job never to return. He stops driving his car before even paying it off and seems to almost revert to the motivations and actions of a primate. He is taken to hospital for treatment but rebels against the insistence that he needs to be on medication. On his return to school, enraged at being laughed at and joked about, Leif picks a fight with the person his crush is now seeing and is arrested in school and taken to a mental institution. A short time later he leaves feeling so humiliated it seems his only option is leave town after selling any possessions he has of value from his hockey cards to his motorbike. Then, one night after yet another fight with his dad, he heads for the highway, not knowing if he is going to be apprehended and taken to the mental hospital again. He leaves, bound for the coast. What follows is a series of tumultuous events where he travels, gets sick, returns home, leaves for Vancouver, makes an attempt to join both the Canadian and US military and also makes an attempt to earn a pilot’s license, and in the end fails at all of these things and leaves himself severely injured from a training injury. As the story told in “Through the Withering Storm” draws to a close, Leif finally decides to accept his illness, accept treatment for it and at that point begins to travel down the long and rocky path to recovery. Leif does go through more hospital admissions, many medication changes and difficulties, but starting from the publication of his book, by giving public talks, promoting his books, writing newspaper and magazine articles, Leif becomes an advocate for the mentally ill and joins the seemingly unwinnable war on stigma that all those who suffer (silently or otherwise) from a mental illness go through.